We are reminded daily that nothing will last forever. Time will take its toll on the very best of design, material, and craftsmanship. Natural disasters, accidents and sometimes intentional actions bring about heart wrenching, sudden changes that interrupt and forever alter the normal. We are all witness to that this week as unthinkable news rolled in from Paris. Certain places have special meaning to all of us. Preserving precious memories is very important. Losing something dear to us can bring great distress and sadness. Whether a structure known to people worldwide or an old family home place valued by a few, being unable to sustain and save is troubling. Places of worship have possibly been the most revered and sacred spots throughout history. Whether churches, tabernacles, synagogues, temples, or tents of meeting, those who gather are typically attached, protective and sentimental at the very least. 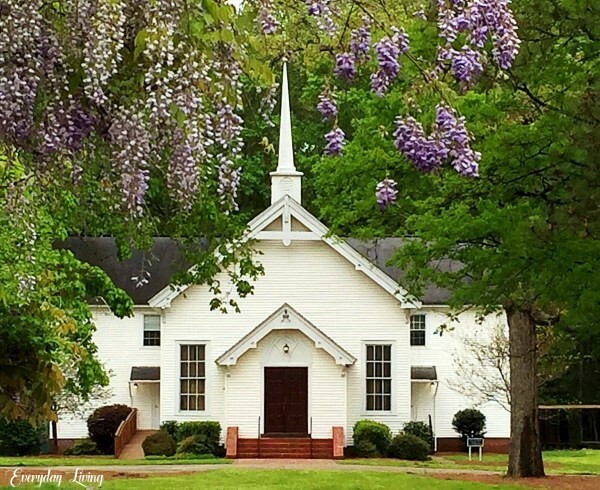 One of our favorite springtime church images ! Hello and Happy Tuesday sweet friends! I have a treat for you today as I promised yesterday. If you remember from last Friday’s post Gather ‘round My Easter Table, I participated in my first Instagram Table Hop. I realize that some of you might not be on Instagram or if you are, you might not have been able to follow the hop! No worries I have assembled a round-up of these stunning tables for you to enjoy. 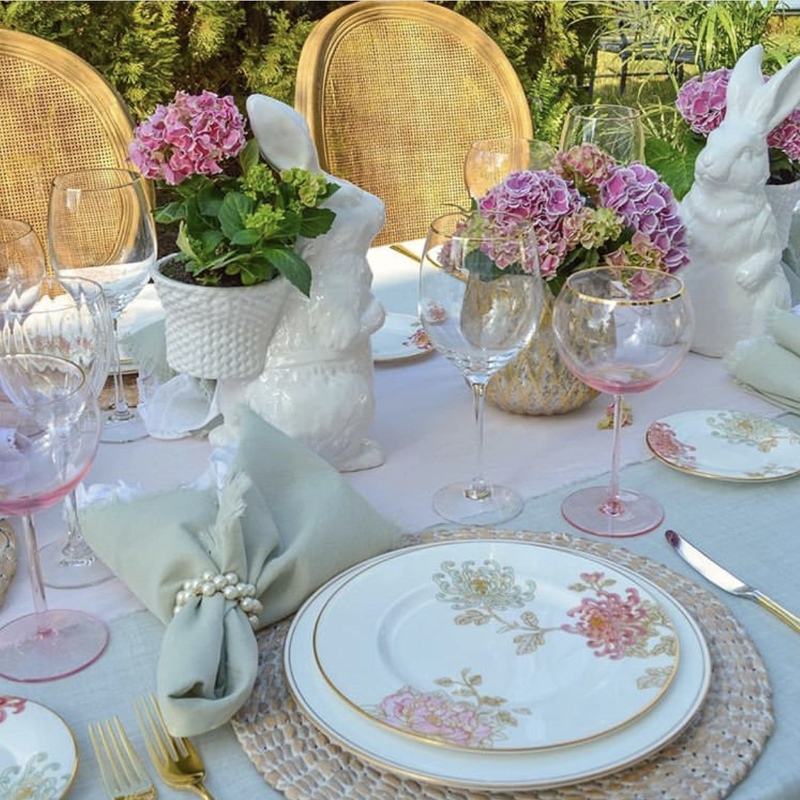 Without further adieu, let’s enjoy Easter Eye Candy Tablescapes! Happy Monday dear friends! 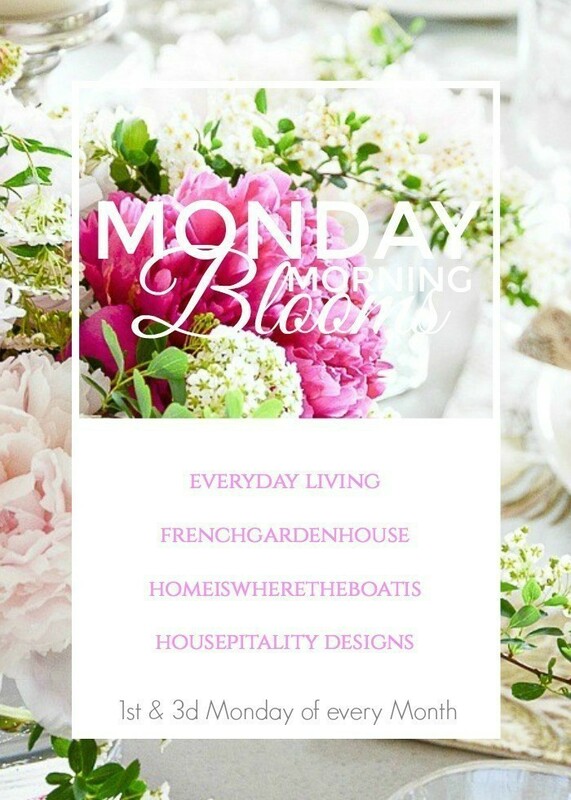 It is a great start for the week because it is the third Monday of the month and that means I am joining my creative friends to bring you the Easter edition of Monday Morning Blooms! 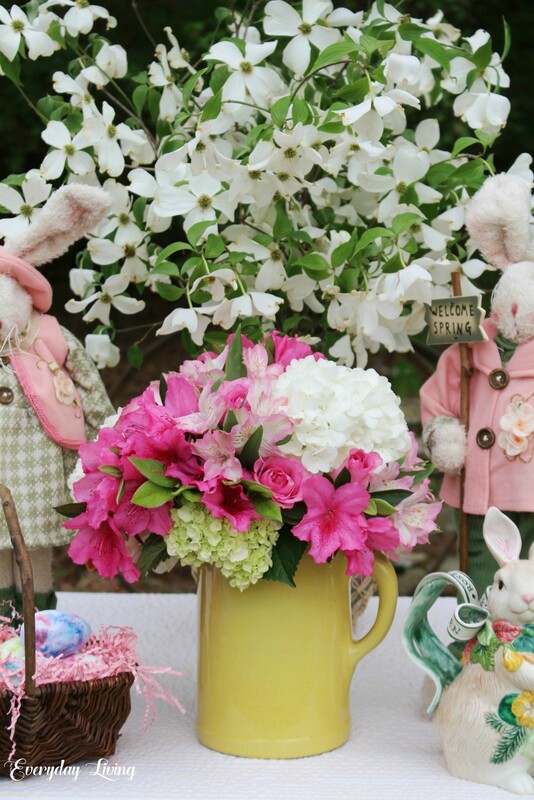 Easter has always been very special to me – starting when I was a little girl. My mother always made sure I had a new outfit and we would start our day at the sunrise service, complete with family lunch. The lunch tradition lives on as we gather at our house in the early afternoon for good food and an egg hunt! All of these events are fun and bring back wonderful memories, but the meaning of this day is what gives us life. Jesus Christ defeated death and the grave forever! What a reason to celebrate! After our Easter lunch of traditional Southern food, we will be outside for an Easter egg hunt with our granddaughter. I set up refreshments on the picnic table with a spring bouquet of flowers for us to relax and enjoy the fun through the eyes of our almost three year old Ella Mae. Baby Emma will probably sleep through the fun! You will find the inspiring floral links for Shirley, Lidy, and Mary at the bottom of this post! A big southern welcome, y’all! I’m Pam and I’m so glad you landed here at Everyday Living. If you stay around here long enough, you’ll learn that I’m into a lot of different hobbies. 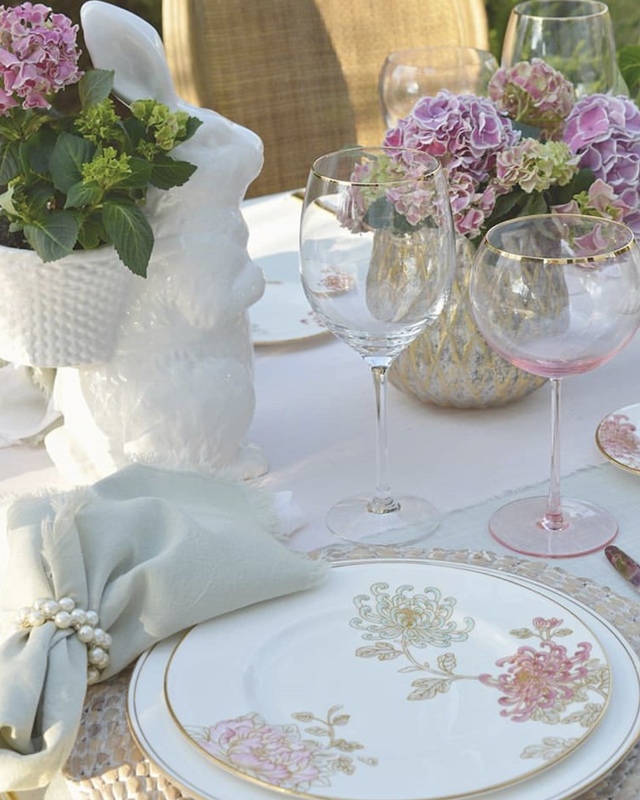 You may find me putting together a tablescape, traveling with my hubby (Renaissance Man), pullin’ weeds in my garden, just sharing my everyday living with you. I also love reading and trying my hand at photography, but best of all…and my favorite – I’m “PJ” to Ella Mae and Emma. Thank you for stopping by!